Just like Michael Jordan in 1995 and 2001, I'm announcing my comeback from retirement! What could cause me to resurface again? How about a chance to talk to legendary MacGyver composer Dennis McCarthy? If you've read this blog before, you know how much I love the MacGyver music. Mr. McCarthy had a lot to do with that as one of the big three MacGyver composers along with Randy Edelman and Ken Harrison. Mark H. sent some questions along since he is also a big fan of McCarthy's work, and we're very thankful for his time in answering our questions and his great work on the series! MH: Did you audition to be a composer for "MacGyver" in 1985 or were you approached? 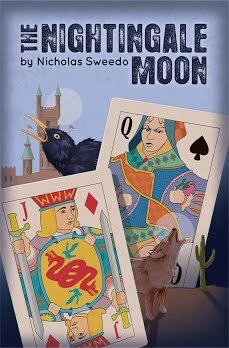 DM: I met the wife of one of the producer/writers -- she submitted my name and some of my cues from "V Final Battle" and (if memory serves me) the new Twilight Zone show plus some Dynasty. They called me in because they liked my stuff and had found out how fast I wrote -- speed being the main point! MH: I always found your compositions to really fit the mood of the show, both at large and at a scene-by-scene level. I was especially impressed by your work on the season 1 episode "Nightmares". Did your compositions for "MacGyver" come fairly naturally? DM: There were so many minutes of music in each show that I truly didn't have time to think about anything except the few days I had to write; we would spot up to 44 minutes of music on a Saturday and score on the following Wednesday with a full orchestra. There was not enough time to explain anything to an orchestrator so I was a one man band. Later on Bill Ross and Bruce Babcock would come in to handle some of the cues -- saved my life!! MH: Did you ever work with either of the other primary "MacGyver" composers Ken Harrison and Randy Edelman? DM: Ken and I were friends. I met Randy once -- we got along well but that was the extent of my interaction with him. NS: Who were some of your favorite crew members to work with on the show? DM: Steve Danforth (music editor), Paul Rabwin (post production coordinator) and John Moranville (producer) -- great folks!! Plus Ricky Dean -- very cool cat! MH: Were there any episode scores that you were most proud of? DM: The Negotiator. Cleo Rocks, an episode concerning a valuable violin, and a middle eastern episode whose name I cannot remember -- Tommy Tedesco played unbelievable guitar!! MH: Did you follow "MacGyver" to Vancouver when the series changed filming locations? MH: What was your favorite series to compose for over the years? DM: Star Trek Deep Space Nine. Emotional and dark -- very intense. 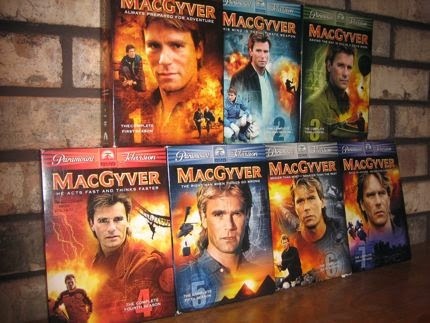 NS: Any other favorite MacGyver memories you have? DM: Sitting in Vancouver with Steve and John during an unusual snow storm watching cars sliding down the street smashing into each other -- lots of other memories but I'd need to sit down with a few Don Julio Anejos to remember all of them. Welcome back from retirement. I figured at least one of the crew members you contacted would arise for an interview. Who knows...there may be more yet! Nice exchange with McCarthy. Very cool, especially for me, that he selected "Cleo Rocks" as one of his favorite episodes to compose. The speed at which he was expected to submit a composition is head-spinning....I can't even imagine putting together 45+ minutes of music in that short of a timeframe. I figured you'd like the Cleo Rocks mention -- it does have some good stuff including the music from MDB. Thanks so much Nick for posting (as far as I'm aware) the very first McCarthy interview about MacGyver ever. Some interesting background info. I do wonder how much music was actually composed by Ross and Babcock in those episodes, it would have been interesting to get a bit more details on how that worked exactly. I can't find any cues that don't sound like McCarthy so I assume they tried to approximate his style. I guess the middle eastern episode he is mentioning is probably Slow Death. That episode doesn't have that much music but a very interesting opening cue leading up to the blasting of the bridge. Nice to know that Ken Harrison and him were friends. I've always wondered whether the composers had more of a competitor- or more of a colleague relationship. I've read, seen and heard just about all there is on Dennis McCarthy and I have all his scores in my collection, so reading something totally new after so many years is really great. Still desparately waiting for a MacGyver score album to be released. Of the available scores the one that comes closest to his MacGyver work is "The Arsenal of Freedom", a dramatic, action packed score from Star Trek TNG season 1 which was composed in 1988, so in MacGyver season 3. Amazing that he actually travelled to Vancouver so many times, he would have been crazy busy with Star Trek by then, no wonder he needed some help later on. Thanks again for posting, I truly envy you for being able to talk to my favorite composer. Thanks David! I didn't realize this was the only McCarthy interview on MacGyver. I like your Slow Death guess for the middle eastern episode - makes sense. If that MacGyver soundtrack ever comes out, you and I will be the first in line! You bet :). If I ever have the time and money to invest in it, I'll release it myself. I reviewed the episodes again and actually think rather than Slow Death Dennis might have been talking about To Be a Man, I noticed that one has guitar in the orchestra but Slow Deat doesn't. To be a Man in my opinion has one of the strongest scores in the entire series. Did you talk to Dennis directly or did he mail in the answers? I wish he had remembered some more details..
Yeah I had been originally thinking "To Be a Man" also when he mentioned that. I didn't actually talk to him - just over email. As is the case with a lot of these cast and crew members, I think the memories are in there somewhere but they just need a little jogging (as he alluded to with the Don Julio Anejos). It would be awesome to spend a week with these people and really dig into the details. Just saw a "MacGyver"-related headline. Ernie Reyes, Jr. (Luke on "Murderers' Sky) is in the hospital with kidney failure. I hope they're able to help him. Sad news - hope he's ok. The full story looked pretty bleak. He's been on the kidney donor list for awhile and hasn't gotten one yet. His current kidney's breaking down now so unless he gets a kidney soon it will be fatal. He's 43 years old.